MLB 14: The Show is out! For the PS3 and Vita. If you want the PS4 version, you have to wait until May. The Elder Scrolls Online is coming out this Friday on PCs, I’m told MMOs are popular, but I don’t see many people talking about this one. Moebius: Empire Rising will be hitting various digital stores on April 15th. It being a spiritual successor to the Gabriel Knights games (and being made by the creator of the Gabriel Knights) has me intrigued. If you want some graphic adventure fun, this is one to keep on your radar. Conception II: Children of the Seven Stars is also coming to America on April 15th for the 3DS and Vita. I don’t know anything about this game, but notable JRPG enthusiast Steven Strom is looking forward to this game, so there is that. War of the Vikings by Fatshark is coming on the 15th as well. It has been in Steam Early Access for quite awhile now, and seems pretty good. If you enjoyed War of the Roses, this is probably worth checking out. 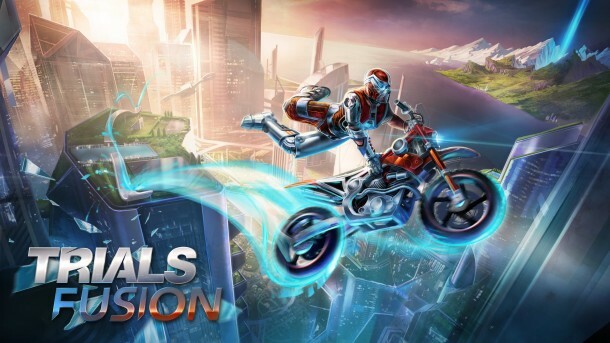 Trials Fusion is out on Xbox platforms and PS4 on April 16th. It is my most anticipated game of the month. If it is only half as good as the previous games in the series, it will still be pretty good. Also, Trials Frontier is coming to iOS on April 10th. Dark Souls II will be coming to PC on April 25th. The much lauded game has already been released on PS3 and Xbox 360, but many are waiting for this version for teh hot grafix. Child of Light is being released on April 30th on what seems to be every home console available. Developed on the UbiArt Framework engine (used for the recent Rayman games), this title looks quite stunning. If you want a side-scrolling game, look into this one a bit. Also, if you are an Xbox Live Gold subscriber, don’t forget to pick up Hitman: Absolution, and Deadlight this month. This marks the first time Games with Gold has put games up that weren’t released during the Reagan administration, so we should be happy. Yea, I’m the jerk complaining about “free” stuff. Deal with it. If I missed something, try to make an argument for it in the comments. I might add it in. You can’t make me, though.